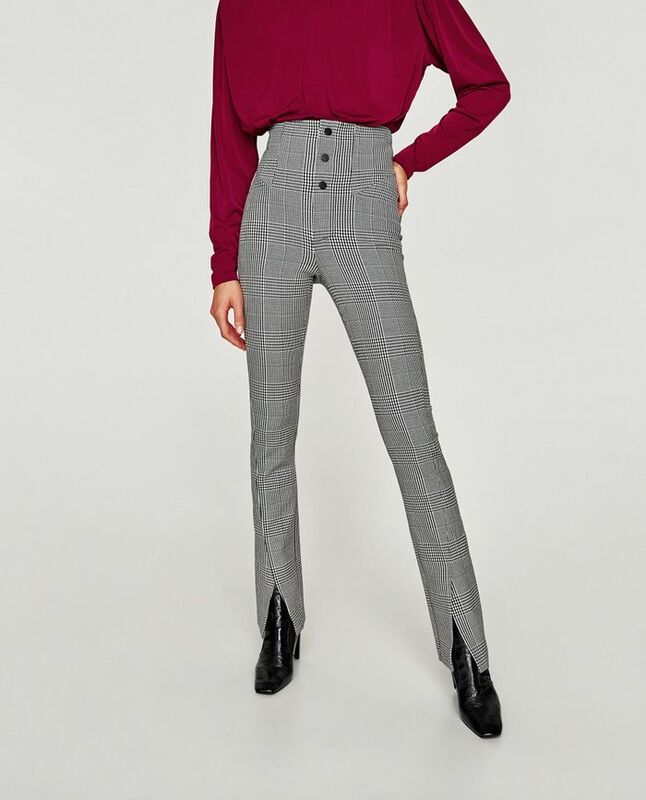 If you browse through Zara’s “leggings” section on its site, you’ll find several of the season’s biggest trends within the category—everything from stirrup leggings to brightly colored floral prints (à la Balenciaga’s fall collection) to the below style we’re highlighting today. I’m referring to the pants as “non-legging” leggings because, quite frankly, they look more like fitted trousers than your typical black pair of leggings. The style caught my eye for several reasons. First, the on-trend check print. Then, the chic front slits. And lastly, the ultra-high-rise silhouette. Together, the details make for incredibly flattering “leggings” that are the perfect way to update your fall office style. Check out the chic leggings below. Up next, shop great-fitting jeans for every budget.